I think this is really useful for everyone who enjoys building warships. I will take requests, but I make no promises, that this mod stays up to date. 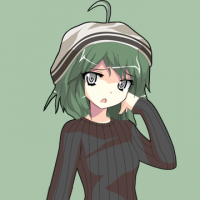 But this time I created project files, so in the case I can't develop it any longer, It should be no problem for other modders tocontinue it, when I give them the files. Welcome to the club! Glad to see you up and running if you run into issues feel free to contact me. I look forward to seeing more of your work in the future. 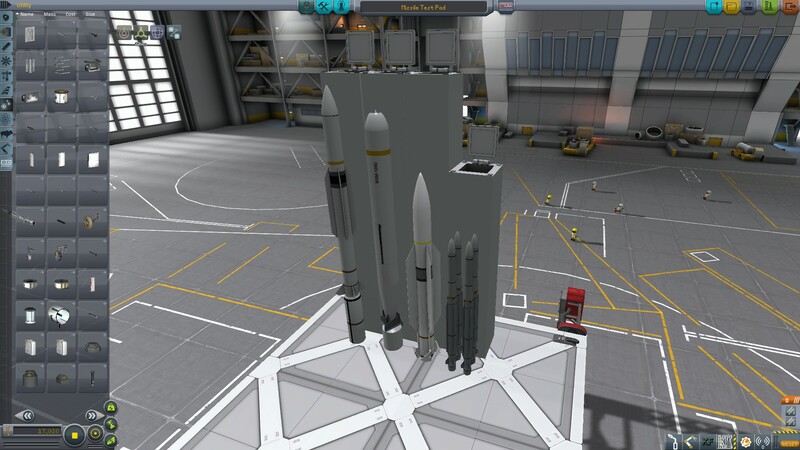 Hey Themorris, do you ever believe you will revive your old ICBM pack you did back in late 2013? I loved using your R-36M warheads like lawn darts. One minor quibble- can you drop the mod folder inside of a Game Data folder? I think we're all used to the GameData->Mod hierarchy that's so prevalent. Yeah, sure. Will do that for the next update. could you change the colour of the tubecaps just a lil`bit so it is different? 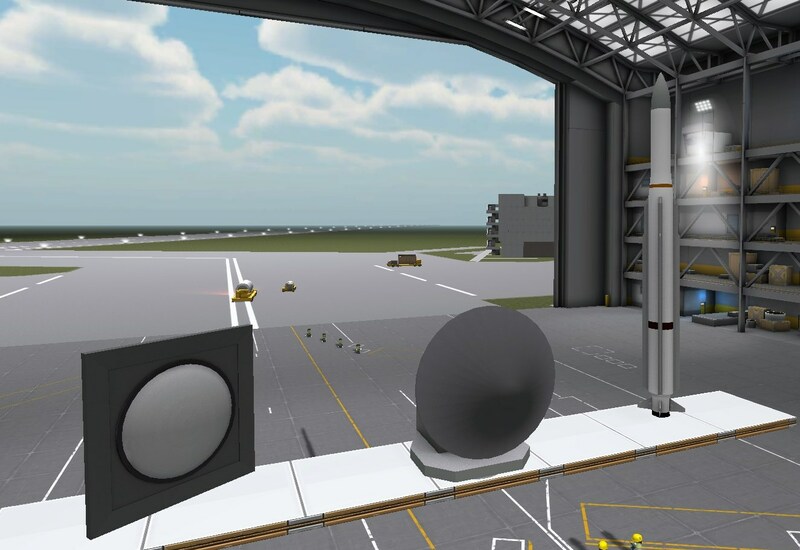 also even though it probably isn`t your terrain, maybe cargo door? You mean like a hangar door? Maybe... I'll see and for the color of the tubecaps, this is just a quick AO-bake, not a final texture. Why are you using mbm textures? You should convert them to dds and save under same names to preserve memory. 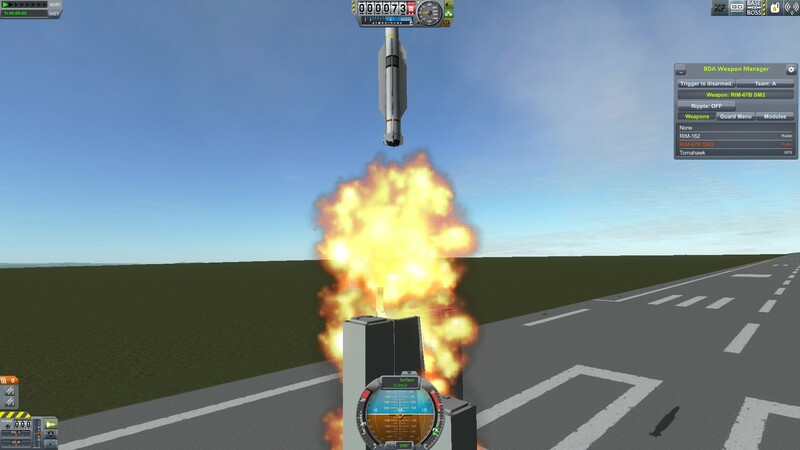 I did it using dds4ksp, and the mod folder shrunk from 60 megs to just 6! I've also downscaled some textures so that none of them are larger than 1024. No point in that large textures as long as you don't have small details in them. As for requests, can you make Phalanx to complement that RIM-116 launcher? LORDPrometheus already did the Phalanx in P.E.W. Really Really Nice man. 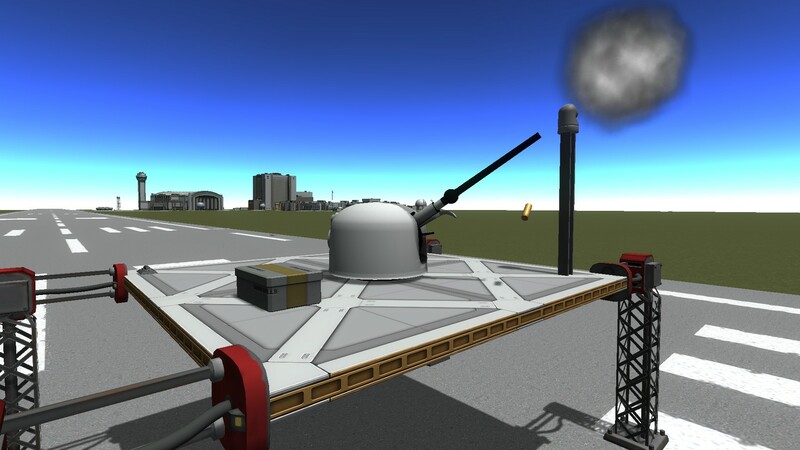 However, Can you make the SeaRam with the integrated radar?? Plus i really wish to learn the art of making such turrets... Anychance we can get a tutorial?? I won't make tutorials, I'm sorry. SeaRam? Maybe in the future. LORDPrometheus did some tutorials, though. o.m.g.. MK-49 RAM?? I love you! 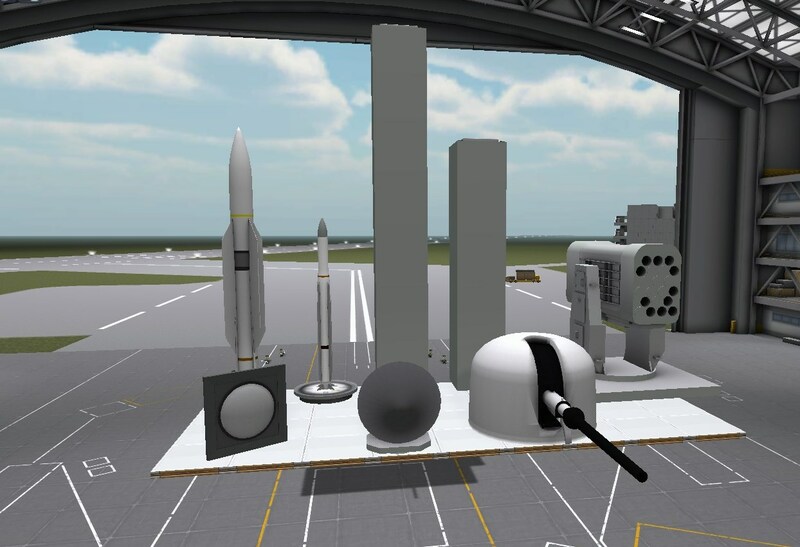 This time you get a few radars, and also the ESSM for the quad launcher. 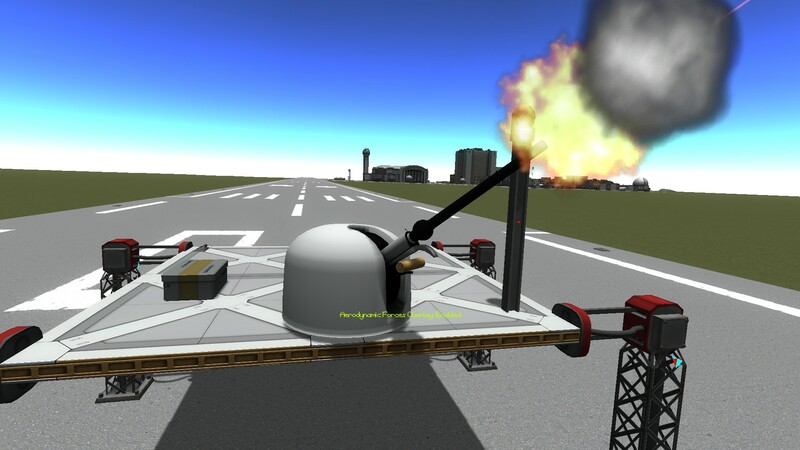 The STIR can track one target, but is also only a tracking radar, it can't search for targets. If you want to use the radars, you have to enable them AT THE SAME TIME as another search radar on the vessel. 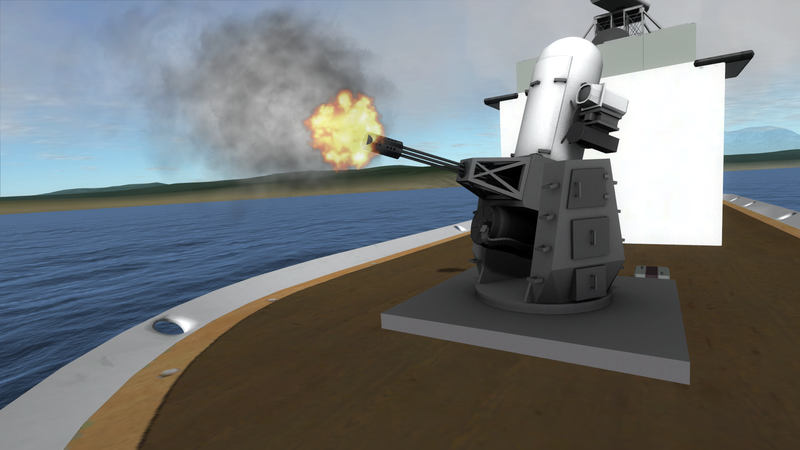 Also is there an addon with a mk45 5 inch gun? Can you possibly make a VLS cell block? Would be very good for preserving part count. 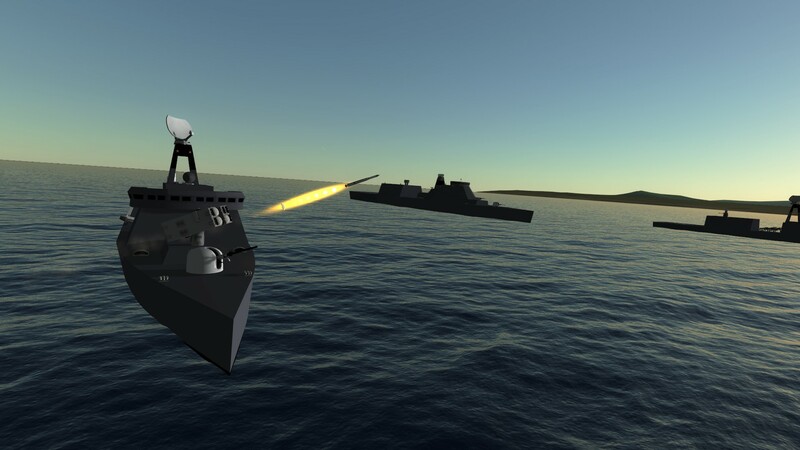 CUrrently making a real block like on Arleigh Burke will affect performance quite badly.